Full service digital agency Cuker recently partnered with premium and natural pet food brand Dogswell to develop the digital strategy and a responsive website to support the company's brand update. Founded in 2004, Dogswell is a Los Angeles-based company that creates natural, premium pet food and treats that are free of any corn, wheat, soy or other fillers. The strategic partnership with Cuker will help create awareness for the emerging brand among a larger audience building brand recognition and driving retail sales. The new website will capture Dogswell’s new brand messaging, provide an optimized experience for mobile viewers, provide helpful information for their engaged consumer, and strategically incorporate social media. “In a crowded market, Dogswell has stood out and built a strong core following based on its ingredients, approach, and by always staying true to their core values. With our partnership, we will bring thought leadership and innovations in the digital space to help build a broader awareness for this great brand, by engaging pet owners online,” says Aaron Cuker, Chief Creative Officer at Cuker. Dogswell joins a growing roster of clients in the natural food industry for Cuker. Cuker’s strategists, creatives, and dog-lovers will be passionately working on the account to grow the Dogswell brand. About Dogswell DOGSWELL® is located in Los Angeles, CA and was founded by Marco Giannini in 2004. 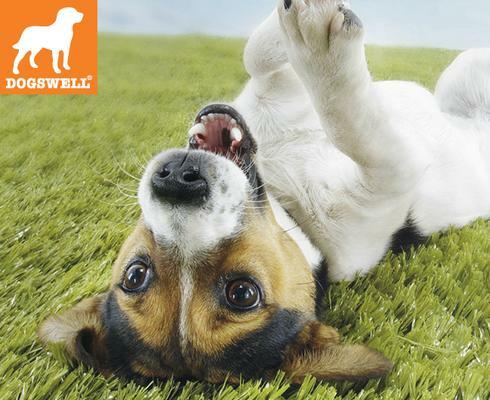 DOGSWELL® and CATSWELL® products are carried in independent pet stores and in natural food stores nationwide. The product line for dogs includes HAPPY HIPS®, HAPPY HEART®, VITALITYTM, MELLOW MUT® and BREATHIES®, SHAPE UP®, and TUMMIESTM, and for cats includes VITAKITTYTM, HAPPY HIPS®, BREATHIES®, and SHAPE UP®. For more information about current and future DOGSWELL® products, please visit www.dogswell.com.